Pair of Salts 1/3. Made for "SILVER WITH A PINCH OF SALT" at Goldsmiths Hall Spring 2009. 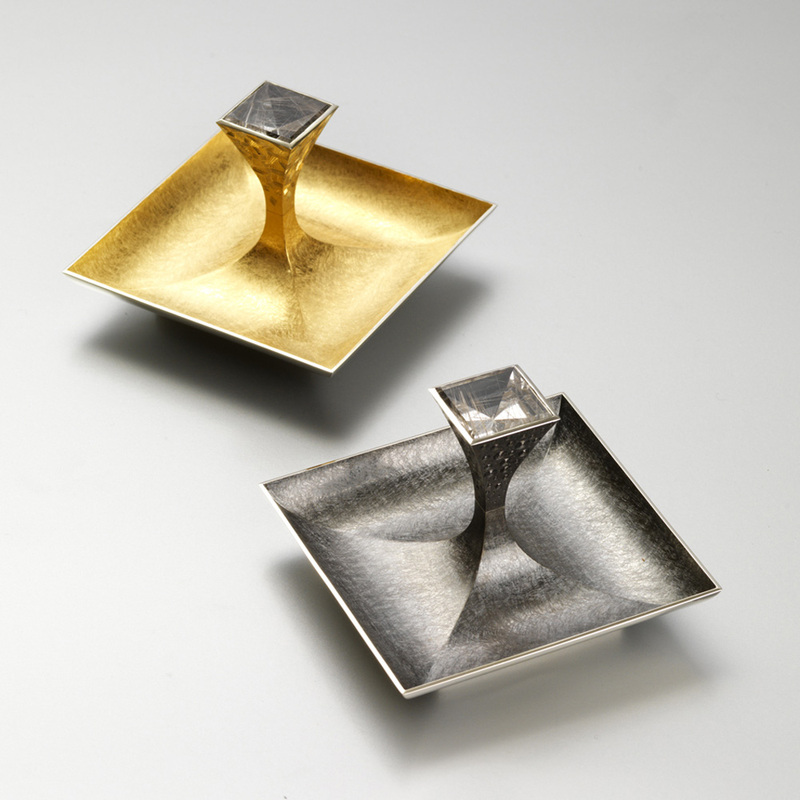 Dishes 88 mm square.. Silver yellow gilding, black rhodium plate, set with pair of square mirror cut rutilated quartz. Setting hand engraved. Photo : courtesy The Goldsmiths Company.